Some AIA members have received an email solicitation message claiming to be from the AIA, however, the message is not from the AIA. 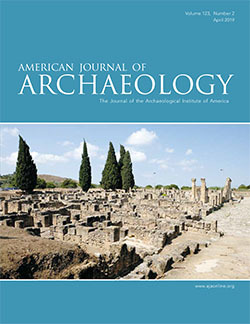 The Archaeological Institute of America is pleased to announce our newest Site Preservation Grant winner. The project will develop a strategy to protect the site from encroachment, urbanization, and environmental change. A letter in support of the Kentucky Archaeological Survey from the AIA, through its Kentucky Society. During a week of voting over 28,000 votes were cast. View this year's winners. The new website of the Cultural Heritage by Archaeology and the Military Panel (CHAMP) is now active! Carla Antonaccio, Chair of the AIA Nominating Committee, invites your help in identifying potential candidates for open positions on the AIA Governing Board.